1. I am a lover of all types of music. 2. Variety is the spice of life and sometimes the stuff is a welcome change to my normal Jack Johnson, George Strait, Michael Buble, AC/DC, Third Day rotation. 3. When it is done without a ton of garbage language or outright ignorant thinking, the artistry, storytelling and ninja-level lyrics are inspiring and highly entertaining. You're now in a game where only time can tell. Survive the droughts. I wish you well. I wish you wheels. I wish you wealth. 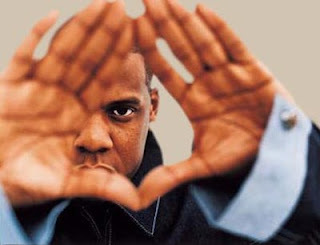 If you read the full lyrics, listen to the full song or even listen to the full album (American Gangster - available in digital download format on Amazon.com, but not iTunes), you will figure out quickly that the story here is about the movie American Gangster. I'm obviously not lifting up and celebrating the story itself - crime, drugs, etc. But the storytelling techniques of the VH1 show are undeniably intense. Its the type of watch that makes a communicator think about how you can tell your story using more visual, creative and intelligent resources. Starting with the one between your ears and the two attached to your arms. TED Conference Videos - Invaluable Resource! TED is an annual conference in California. TED stands for Technology, Education and Design. Each speaker has only 18 minutes or less to tell about their innovative idea, their life's passion, the part they play in the world of technology, education or design. BEST PART, their web site (www.TED.com) has hundreds of their speakers' videos in streaming or downloadable format. They are perfect for showing to your students or peers to reinforce your idea and/or enlighten their world. Even if you aren't teaching/speaking on their exact topic, they are all grounded in a ton of great leadership, creativity, education ideas/concepts. "Why don't we get the best out of people? 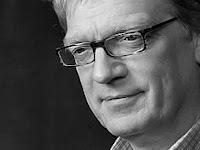 Sir Ken Robinson argues that it's because we've been educated to become good workers, rather than creative thinkers. Students with restless minds and bodies -- far from being cultivated for their energy and curiosity -- are ignored or even stigmatized, with terrible consequences. "We are educating people out of their creativity," Robinson says. It's a message with deep resonance. 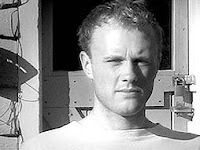 Robinson's TEDTalk has been distributed widely around the Web since its release in June 2006. The most popular words framing blog posts on his talk? "Everyone should watch this." "Nalini Nadkarni has spent two decades climbing the trees of Costa Rica, Papua New Guinea, the Amazon and the Pacific Northwest, exploring the world of animals and plants that live in the canopy and never come down; and how this upper layer of the forest interacts with the world on the ground. 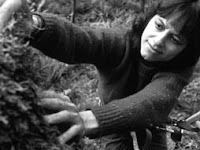 A pioneering researcher in this area, Nadkarni created the Big Canopy Database to help researchers store and understand the rich trove of data she and others are uncovering." 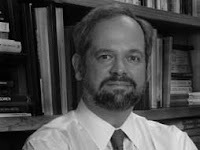 "A broad thinker who studies the intersection of science, business and society, Juan Enriquez has a talent for bridging disciplines to build a coherent look ahead. Enriquez was the founding director of the Harvard Business School Life Sciences Project, and has published widely on topics from the technical (global nucleotide data flow) to the sociological (gene research and national competitiveness), and was a member of Celera Genomics founder Craig Venter's marine-based team to collect genetic data from the world's oceans." 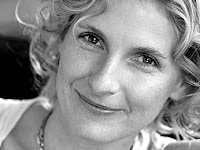 "Elizabeth Gilbert faced down a ­premidlife crisis by doing what we all secretly dream of – running off for a year. 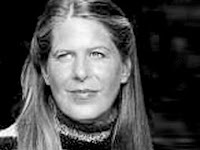 Her travels through Italy, India and Indonesia resulted in the megabestselling and deeply beloved memoir Eat, Pray, Love, about her process of finding herself by leaving home." 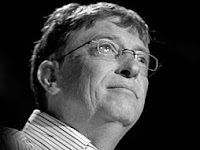 "Bill Gates is founder and former CEO of Microsoft. A geek icon, tech visionary and business trailblazer, Gates' leadership -- fueled by his long-held dream that millions might realize their potential through great software -- made Microsoft a personal computing powerhouse and a trendsetter in the Internet dawn. Whether you're a suit, chef, quant, artist, media maven, nurse or gamer, you've probably used a Microsoft product today." "If not for Scott McCloud, graphic novels and webcomics might be enjoying a more modest Renaissance. 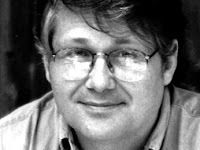 The flourishing of cartooning in the '90s and '00s, particularly comic-smithing on the web, can be traced back to his major writings on the comics form. The first, Understanding Comics, is translated into 13 languages, and along with Reinventing Comics and Making Comics, its playful and profound investigations are justly revered as something like the Poetics of sequential art." 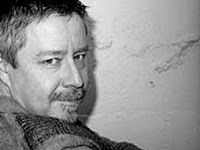 "Tim Brown is the CEO of Ideo, a design firm founded by David E. Kelley in 1991. Brown carries forward Ideo's mission of fusing design, business, and social studies to come up with deeply researched, deeply understood designs and ideas. Ideo is the kind of firm that companies turn to when they want a top-down rethink of a business or product -- from fast food conglomerates to high tech startups, hospitals to universities. Ideo has designed and prototyped everything from a life-saving portable defibrillator to the defining details at the groundbreaking Prada shop in Manhattan (IDEO designed those famous see-through dressing rooms)." "Brooklyn-based artist Jonathan Harris' work celebrates the world's diversity even as it illustrates the universal concerns of its occupants. His computer programs scour the Internet for unfiltered content, which his beautiful interfaces then organize to create coherence from the chaos." "To understand Johnny Lee, just take a look at his personal Projects page. 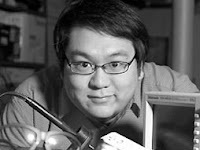 Aside from his Wii Remote hacks -- voted the #1 tech demo of all time by Digg -- you can see all the other places his mind has turned: typography, photography, urban renewal ... to say nothing of his interesting sideline in Little Great Ideas, like the hypnotic "___ will ___ you." "One morning, a blood vessel in Jill Bolte Taylor's brain exploded. As a brain scientist, she realized she had a ringside seat to her own stroke. 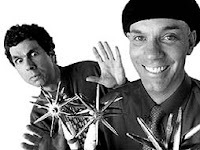 She watched as her brain functions shut down one by one: motion, speech, memory, self-awareness..."
"The Raspyni Brothers' inventory of international championships, TV appearances and national tours may seem a lot to juggle, but then, Dan Holzman and Barry Friedman are jugglers by trade. Their waggish humor, irresistible stage presence and "panther-like reflexes" have turned these jesters from openers into the headline act." 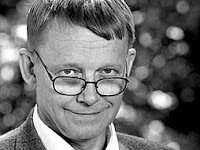 "Even the most worldly and well-traveled among us will have their perspectives shifted by Hans Rosling. A professor of global health at Sweden’s Karolinska Institute, his current work focuses on dispelling common myths about the so-called developing world, which (he points out) is no longer worlds away from the west. In fact, most of the third world is on the same trajectory toward health and prosperity, and many countries are moving twice as fast as the west did." 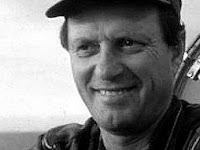 "From an early age, Robert Ballard was intrigued by the deep. He's perhaps best-known for his work in underwater archaeology; in addition to Titanic, he has found the wrecks of the Bismarck, the USS Yorktown, the nuclear sub Thresher (on a top-secret mission for the Navy -- for which the Titanic was his cover story) and John F. Kennedy's PT-109."